This house originally had a front porch with half-walls that had rotted out because rain would blow in on the floor and have no place to drain away to. Everything below the porch ceiling was removed down to the ground and the entire porch roof was held up on temporary supports during construction. The original tapered columns were removed and re-installed. 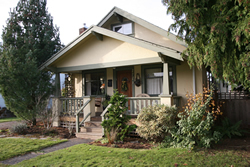 The porch was rebuilt in a traditional manner, with a tongue and groove fir floor, oriented with a good slope to shed rain. 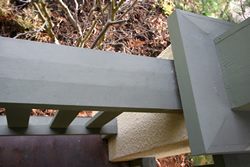 New stucco piers were built with flared bottoms to match the rest of the house. 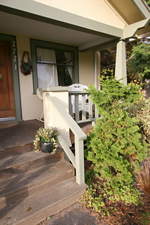 Special care was given to the size and spacing of the railing members to give the porch the appropriate Craftsman look. 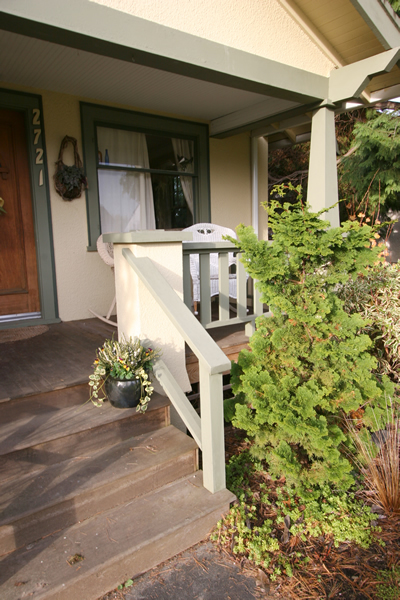 Porches are real tests of carpentry against the weather. Here, all the important surfaces, including the bottom rail have been sloped to shed water. 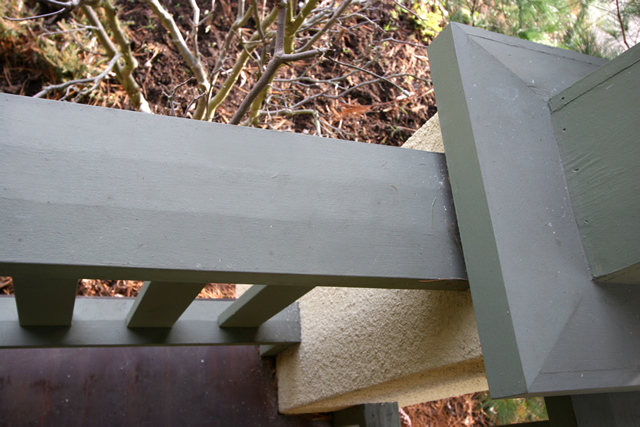 This railing has been in the weather for ten years with only one touch-up repainting.